Italy holds a special place in my heart. I’ve been visiting my parents house in Tuscany every summer since before I can remember, and have grown up loving the rich, rustic flavours of the region; hearty ribollita, simple sauces over thick, hand-rolled pici, earthy cavolo nero, beautiful Chianina beef and the ubiquitous cannellini bean (the Tuscans are sometimes referred to by other Italians as mangiafagoili, or ‘bean eaters’). However, while the Tuscan mountains are a place I’ll return to time and again, I also love the seaside, and this summer I was excited to visit Sicily with a group of girlfriends for the very first time. If you like food, you’ll love Sicily. The largest island in the Mediterranean, it benefits from an abundance of incredible seafood, alongside the fruits of a major dose of southern sunshine; think amazing oranges and lemons, fresh figs, fruity olive oil and wonderful wines. Although predominantly Italian in feel, the food bears the mark of Spanish, Greek and Arab influence; alongside more traditional pasta, you’ll find dishes with couscous, raisins, candied peel and spices such as cinammon, while the very first granite are said to have been made from snow brought down from Mount Etna by the Arab community. There are so many wonderful things to try in Sicily, it’s hard to know where to start. In this land of lemons it’s impossible to venture out without seeing a tree laden with fruit or sampling their juice, whether squeezed over fresh fish carpaccio or incorporated into the more lethal limoncello. Arancini are the perfect portable snack for hot days down at the beach; toothsome balls of rice coated in breadcrumbs and deep-fried, enclosing a molten middle of gooey cheese or unctuous ragu. For a healthier option, sardines and swordfish are top of the menu, the latter often paired with fennel in a rich, dark pasta sauce, but you’ll also encounter mussels, clams, prawns, crabs, sea urchins and more. Moving onto dessert, granite and ice cream are hugely popular in the sweltering heat, alongside calorie-laden cannoli stuffed with creamy ricotta and cassata, a traditional fruit-studded sweet originating from Palermo. One slightly bizarre Sicilian tradition is to stuff giant slabs of ice cream into a brioche bun instead of a cone. The glutton in me found the idea of this extremely exciting, but in reality the chewy white rolls filled with ice cream felt a step too far – maybe I didn’t get a good one, but on balance I think I’d rather lick it slowly from a cone to really experience the flavour. One of the joys of visiting another country is trying things you’d never get back home – lemons that large wouldn’t grace our supermarket shelves without some kind of GM warning, and you’d have to head to Billingsgate at 4am for fish that fresh. However holidays can also be a wonderful inspiration for adventures in the kitchen; I’ve now got several ice creams and granite I want to make, and although a lot of the Sicilian bread was slightly dry and undersalted, I loved their use of sesame seeds and will definitely be using them more in my baking. My first Sicilian-inspired experiment was influenced by was something you see on pretty much every menu on the island, pasta alla Norma, a typical dish from the city of Catania on Sicily’s east coast. Legend has it that Nino Martoglio, an Italian writer and poet, was so delighted when presented with this dish that he compared its splendour with that of the opera Norma, written by Catanese composer Vincenzo Bellini. Pasta and opera, only the Italians could compare the two . . . Pasta alla norma is packed with powerful flavours, showcasing some of Sicily’s best produce; firm-fleshed aubergines, beautifully ripe tomatoes and basil bursting with flavour. Traditionally the pasta is sprinkled with ricotta salata, a pungent salted cheese, but I find it a little overpowering, so in my version substituted parmesan in its place. I also find fried aubergine can be a little greasy – their dense flesh is always greedy for more oil – so for the dish illustrated above I roasted whole aubergines in foil with garlic, inspired by a recipe I found here. The yielding flesh is then mixed with softened spring onion, garlic, tomato concentrate, basil and capers to create an incredible chunky purée which sits on top of the pasta, stirred through with a beautiful homemade tomato sauce. This is a dish so simple, there’s really no need for a recipe. Roast the aubergines for around 50 minutes, use the best tomatoes you can find, taste the sauce for seasoning, adding salty studs of capers or even anchovy to bring out the flavour, and make sure you cook your pasta al dente. Pine nuts are also popular in Sicily, and would be delicious sprinkled over the top as you finish the dish with parmesan and basil. I’ve got a few more Sicily-inspired ideas up my sleeve including a take on arancini, various ice cream flavours, and something involving limoncello. I promise I’ll post proper recipes. But for now I’m indulging in the laid-back laziness of post-holiday bliss. What places have you visited this summer? And what dishes have you been inspired to recreate? Answers on a postcard please. What a lovely description of Sicily! I have married into a Sicilian family and thoroughly enjoyed reading your post. We went to Mallorca but you already know that, given my latest posts. I haven’t been to Sicily for years and years but I really want to go back – this post has only made me more determined to book a holiday there soon! 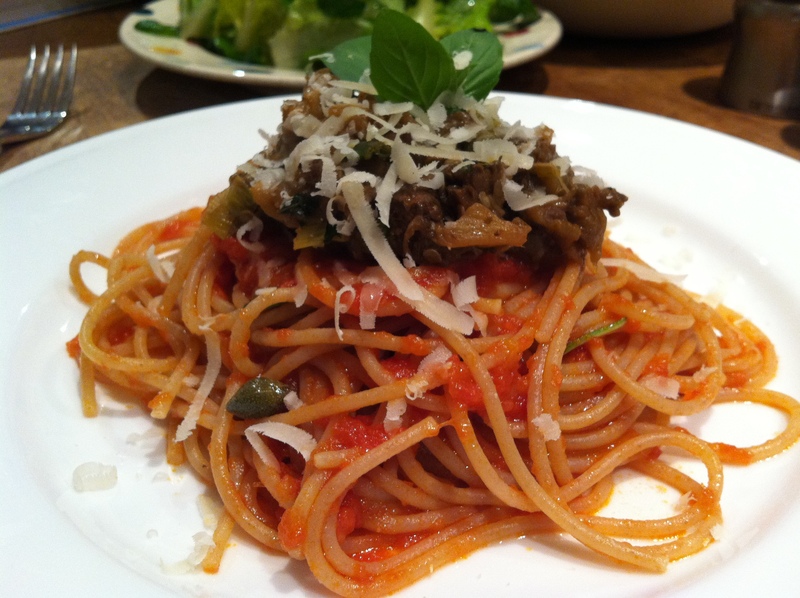 I love the pasta dish as well; I can see it becoming a staple of my Sicilian eating! I spent two weeks in Tuscany this summer (we got married there). I loved it and would really hope we get to go back some time. If you like beaches have you ever been to southern Tuscany, the Maremma? I came back with a couple of small Tuscan cook books but have yet to try any of the recipes. I did come home and cook a few aubergine dishes though. I love the look of your recipe. 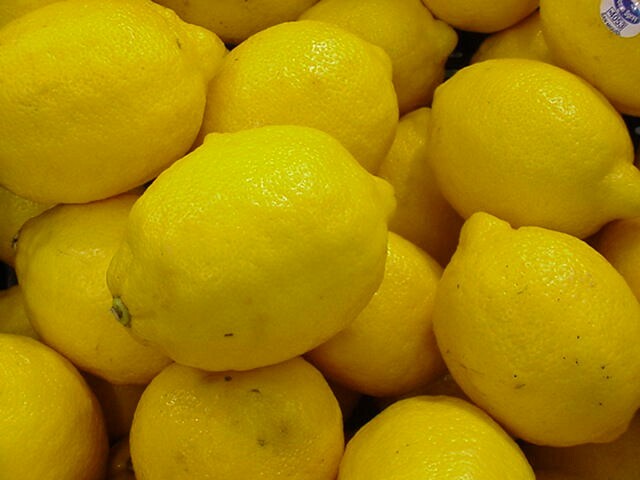 pray tell, do you have some good sicilian recipes with lemons? i’ve got a bunch at home and i haven’t decided what to do with them! 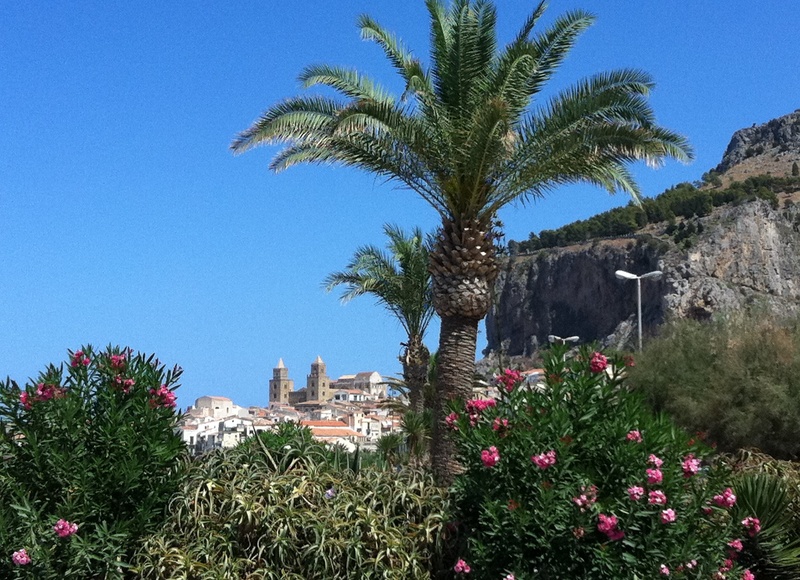 Nuts About Food – glad it passes the seal of Sicilian approval! I loved it so much there, definitely want to go back soon. Mrs Garlic Head – if you like aubergines you should try making caponata…another Sicilian speciality. London Bakes – I can’t wait to go back and explore some more of the island. 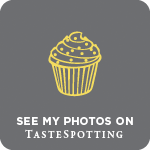 Purely Food – Hard to believe really but I’ve never been to the Tuscan seaside! We have a family tradition of going to Le Marche for a few days of sun, sea and sand every summer so I guess we’ve never managed to squeeze in the Tuscan coast too. Poirier – hmmm, I normally use lemons as an extra – salad dressings, squeezed over fish. You could try a lemon sorbet? I used to love getting sorbet stuffed inside a hollowed out lemon when I was little – and it looks so pretty! Ah how I long to go to Italy and eat my way around it! 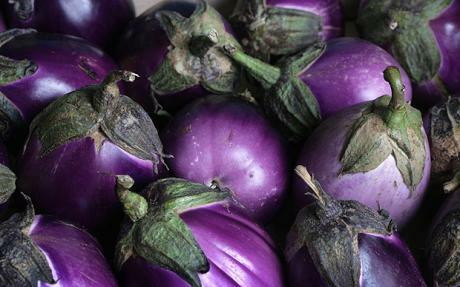 Love your lemon and aubergine pics. Beautiful, or should I say bellissimo! Hello from Italy =) I loved reading your Abou me page! I recognised a lot of what you wrote there: bread is my first love and I love everything baked. I’m still vegetarian, that the only difference I found. Great blog!